Born in Auckland in the year 2000, Jubilation is a virtual gospel supergroup including R & B legend Rick Bryant, entertainer extraordinaire Jackie Clarke and theatre supernova Jennifer Ward-Lealand. This diverse ensemble includes professional musicians, teachers, actors, a yacht maker, a master builder and a lecturer in Russian. They sing soul, blues and country-infused gospel, from the songbooks of Nina Simone, Tom Waits, Curtis Mayfield, Blind Willie Jackson and ranges from the 1800’s to the present day. Jubilation has performed all over New Zealand to crowds large and small – from 10,000 on WOMAD’s main stage to 60 at Arrowtown’s tiny Old Cheese Factory. They’ve sung at the openings of the Auckland Art Gallery, Auckland’s Q Theatre and performed flash-mobs on trams at the Wynyard Quarter. 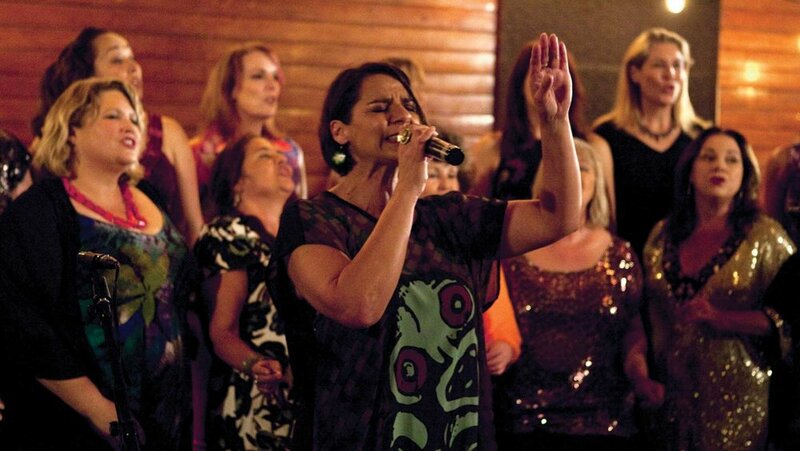 Festival appearances include Waiheke Jazz Festival, New Plymouth’s Festival of Lights and Wanaka’s Festival of Colour. What’s clear is they love what they do, and audiences love them in return.